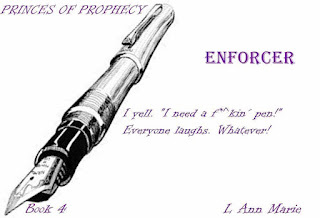 Enforcer is the Fourth book in the Princes of Prophecy. It is a little different than the others. Women are extremely resilient when they need to be. This book shows that right from the beginning. Things aren’t always what they seem to be and we get a firsthand look at how that plays out for our Enforcer and the heart, mind and soul kind of love that takes hold of all our Badasses. Sheila grew up in the MC. Adopted by a biker family she was always just another Brother. 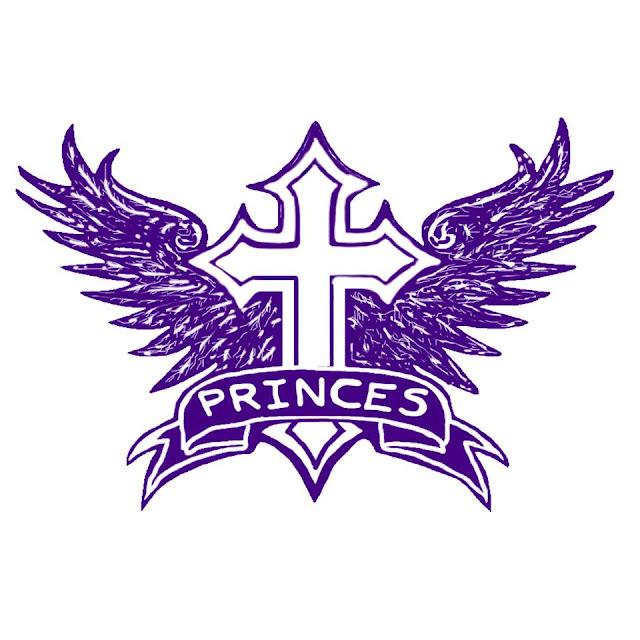 She’s trained for High Security and moves with the Princes when they take their new town and place within the MC Chapter. As a jack of all trades, Sheila is the Princes go to Brother. She gets the job done and can comfort the victims when needed. To her Club she’s invaluable. To Sheila it’s just another day. Seeing everyone around her growing up and moving on, she realizes her past may be holding her down. When her past threatens to take the job she loves and Club she would give her life for, she jumps at the chance for help. Going it alone isn’t easy, but she’s Sheila. Jax left Family Security with the MC when a teenage girl started showing interest in him. He knew it was only a matter of time before he lost control with her and put his life on the line. Badass Bikers are known for doling out justice their way. Seeing her on the list for the new Club he figures five years is long enough. It’s time to grab a taste of that forbidden fruit, that is, if she doesn’t kill him first. 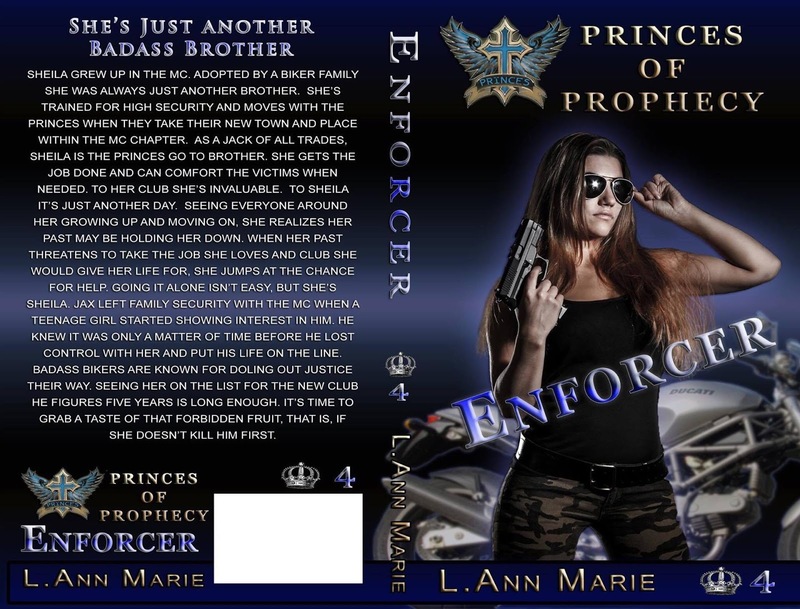 L. Ann started with the Baxters and is working on her third series, The Princes of Prophecy MC. While her books feature ex-SEALs and Badass Bikers, L. Ann is writing about the strong women that these men need in their life to help right the worlds wrongs and help keep their small part of the world safe. The women are extraordinary, strong and determined to make a difference. The men fight for right in every book. Yes they kill people. Yes they shoot at the bad guys feet to cause them pain. Yes they throw tampons at each other regularly. That being said, they do these things while stopping human trafficking, bringing their Club into legitimate businesses, fight gangs to keep drugs away from their town and kids, keep women sheltered safely while trying to stop domestic abuse. These are men that don't leave a Brother behind. They don't treat women as possessions and they don't cheat. Respect takes on an honorable meaning. Women and kids are cherished. Everyone is looked out for. L. Ann has made the perfect Club, tackled the taboo subjects and made it easy to imagine living in a world where your protection comes from the SEALS and Bikers. 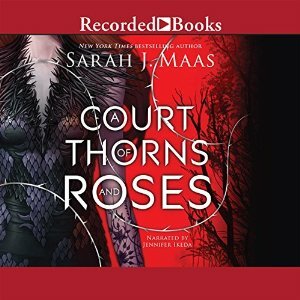 With readers writing about rereading the series over and over, she feels like she's told her characters stories in a way that would make them proud. Every book will make you laugh, every book will make you angry for the wrong that happens in the world. Every book will make you cry for the pain that a character feels. Don't take my word for it. Pick one up and try it out. The Baxters book 1 is FREE. MC Book 1 is .99. Give them a shot and Happy Reading!